Stop what you’re doing right now. After the critical acclaim that was put forward following their absolutely astounding Citadel, the pressure is well and truly on for Ne Obliviscaris to deliver. Now, finally the wait is over and the band will be releasing Urn on October 27th. Made up of only four tracks the album will no doubt be one of the most anticipated releases in the Prog community this year. Not only have the band got an incredible amount of talent but it could be argued that with the use of their Patreon campaign with the Ne Obluminati that they could well have helped usher in a new way where band and consumer almost cut out the middle man and you fund the band yourselves! Add that with the recent change in line up, Ne Obliviscaris are one of the most exciting bands to come out of the scene in quite a long time. The first single the band have released, titled “Intra Venus” is also accompanied by music video. Its exactly the kind of genius that you would have expected from the band and even more! Tim Charles’ vocals have improved, the progressive qualities have been amped. I have to say I think this is probably the first time that two guitars have gone up against a violin! You could well be looking an album of the year from the Aussies. 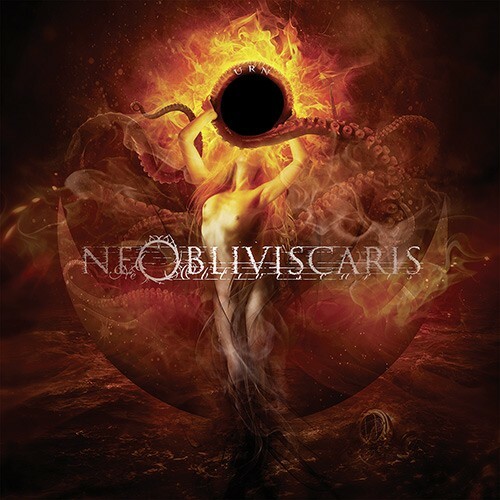 I personally cannot wait to see what Ne Obliviscaris have got waiting in the rest of the record. Urn is set for release on October 27th via Season of Mist and is available in a multitude of formats here! You can also sign up to their Patreon campaign here!